A simple, really easy recipe which can be put together really quickly if you have cornflakes and bread crumbs on hand ( I normally don't have either at home). 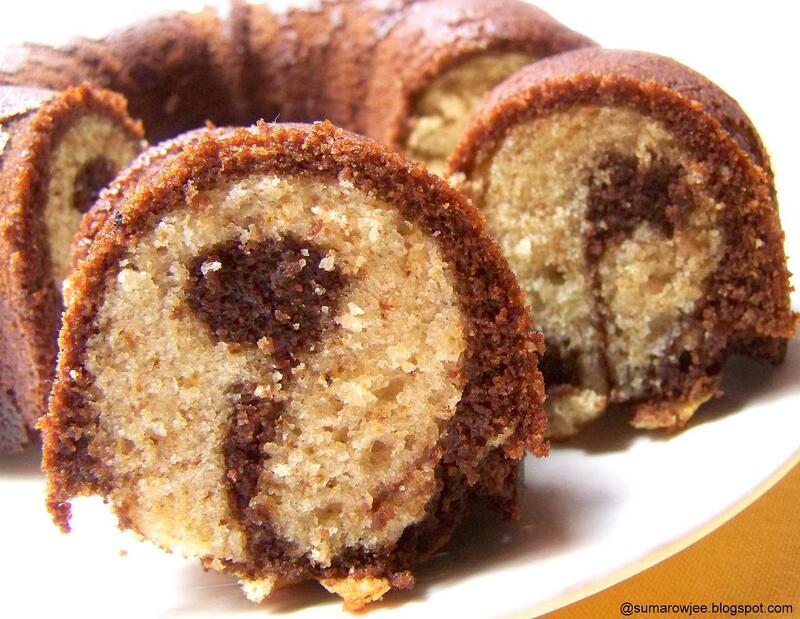 Perfect for feeding 2-4 people, but may not be a great idea to bake in batches for a larger crowd. The onion rings are dipped in a batter of egg, flour, buttermilk and seasoning, dredged in a mixture of processed bread-crumbs and cornflakes. 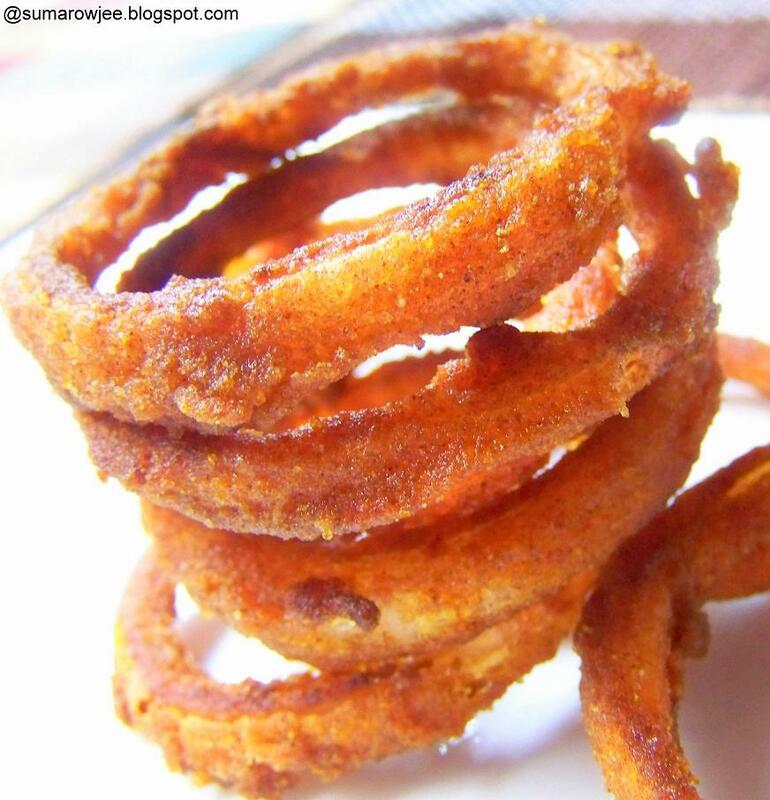 Baked on a hot, oiled baked sheet, these give you about 10 onion rings for about a tablespoon of oil! In my opinion, low fat versions cannot taste the same as deep-fried, at best can only come close - and I am content with that. So allowing that margin will leave you happier when you try these.. Recipe as on Taste Of Pearl City, original recipe from Martha Stewart. The original recipe has more cornflakes, Ayeesha has used less. More cornflakes gives a more coarse mouth-feel whereas less gives a smoother taste, I liked using equal parts of cornflakes and crumbs as Ayeesha does. Preheat oven to 220 degrees C / 425 degrees F. Grease a rimmed baking sheet with half a tablespoon of oil or more ( depending on the size of the tray and the number of rings you can fit in. I used a 6x10 tray, could fit about 10 rings, used 1 tablespoon oil in all) Keep aside. Have another large plate ready to place the crumb coated rings in. Do not place the rings directly on the tray as its imperative to have the tray hot when you place the rings. In a food processor, pulse cornflakes and breadcrumbs until fine crumbs form, then transfer to a bowl. Take some of the mixture in a tray. As you dredge the rings, the mixture tends t clump, so you are better off using part of the mixture at a time. In another medium bowl, whisk together egg, buttermilk, flour, and cayenne and season with salt and pepper. 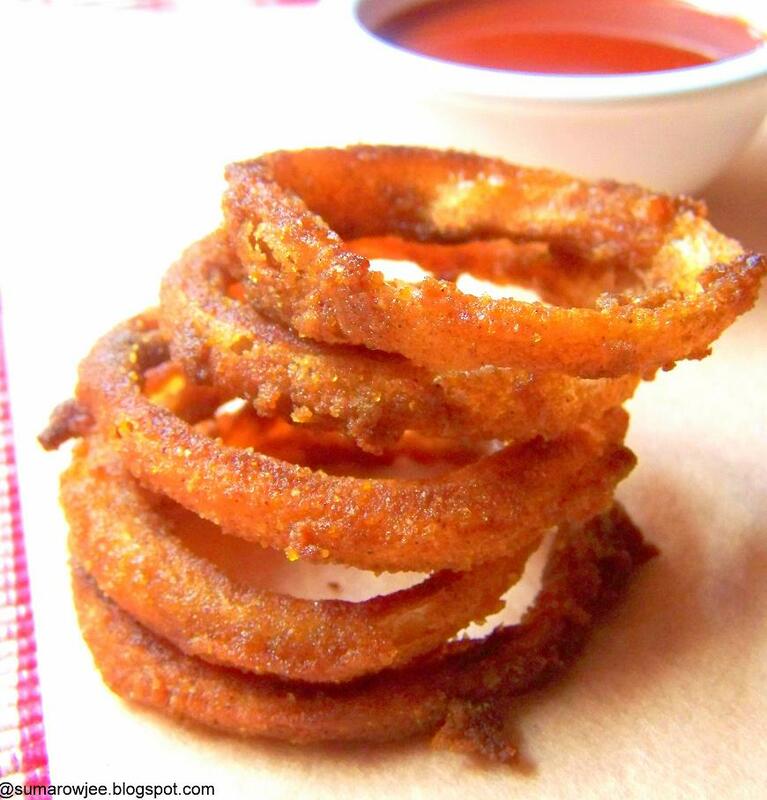 Dip onion rings in egg mixture (letting excess drip off) and dredge in cornflake mixture; place on a large plate. Pour oil onto a rimmed baking sheet. Place in the oven and heat for 2 minutes. Remove the sheet from the oven and tilt to coat evenly with oil. Arrange onion rings on the sheet. Bake for about 8-10 minutes on one side till golden, flip the rings, then add another 1/2 tablespoon oil ( to help the dryish looking top halves of the rings bake better), gently tilt the sheet to coat the rings with oil. Bake until the rings are golden brown another 8-10 minutes. Watch carefully after 6-7 minutes as they turn to burn pretty fast. Serve hot. These crisp up as they cool. Do not store as they taste best eaten as soon as they are made. Please note : The cornflakes are the kind meant to be deep-fried, typically used in savory mixtures. Called makai ka chiwda, you will find them in most super markets and smaller provision stores too. Do not slice the onions very thin as they shrink as they bake. Do not worry about the amount of onion or crumb mixture or batter, you will be left with excess of these. So its only a matter of slicing another onion. The crumbs did not coat the rings perfectly and am sure you have seen prettier onion rings, but these taste good! 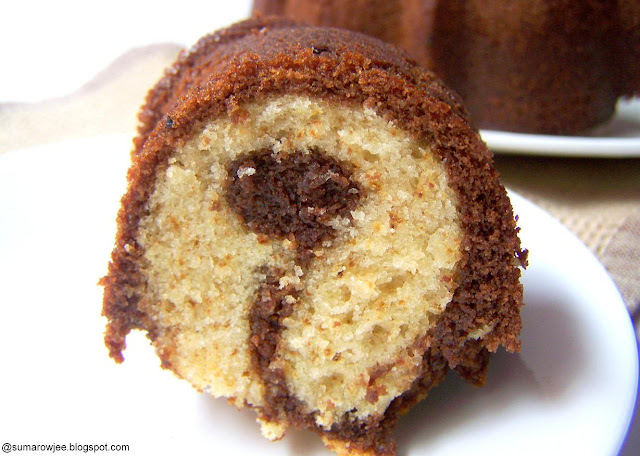 I shall be making these again, thanks Ayeesha for sharing this keeper of a recipe! 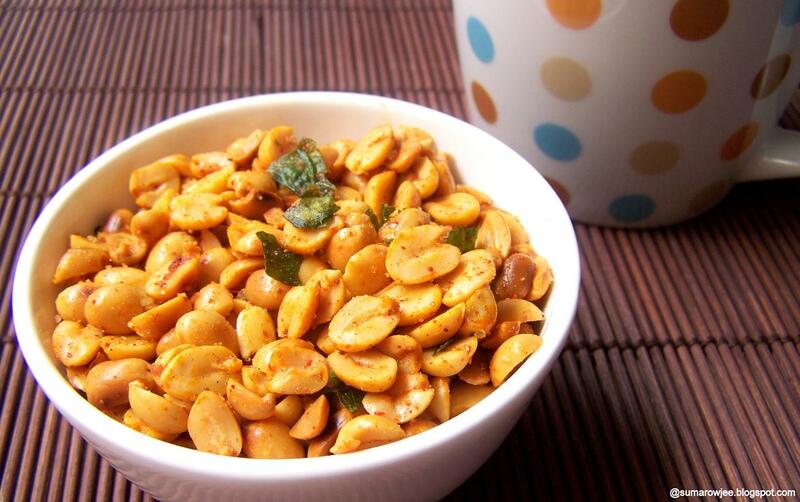 Congress Kadalekai - Spicy Peanuts, Iyengar Bakery Style! 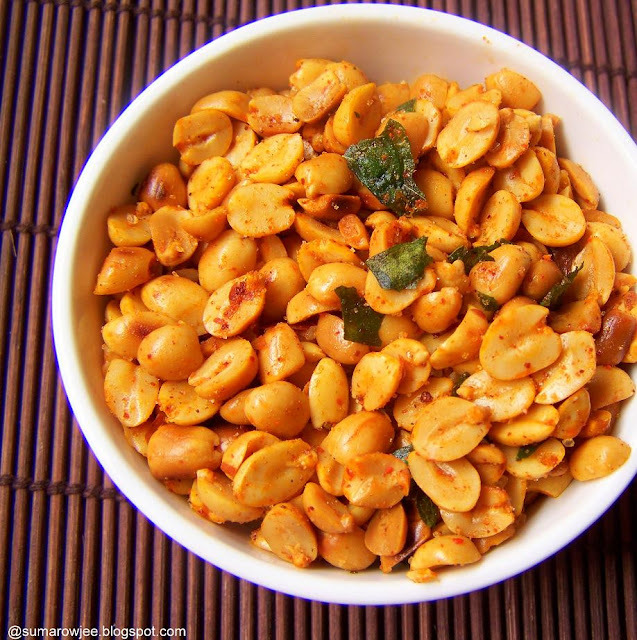 Congress Kadalekai – Super spicy, roasted and de-skinned groundnuts neatly packed and sold in most bakeries. Redolent of the smell of hing, curry leaves generously thrown in, this is an ever popular snack in South India. Have you ever wondered why it is called as Congress Kadalekai? I have no idea! 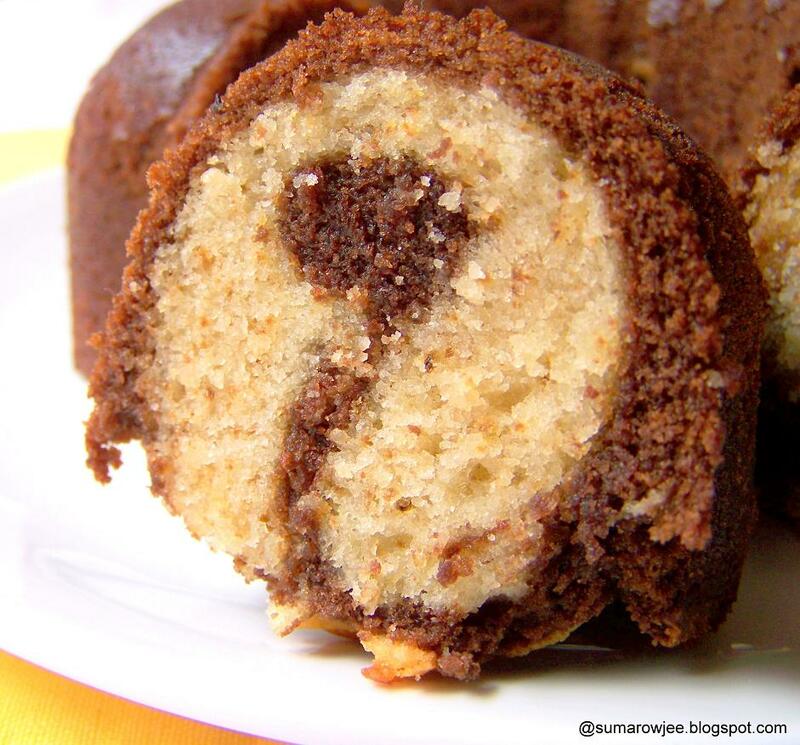 All I know is that it makes a terrific snack and a wonderful accompaniment to your cup of coffee or tea. Hubby loves these peanuts and doesn't miss an opportunity to buy a packet of congress kadalekai whenever he happens to park within walking distance of a good Iyengar bakery. Often when we wait for our turn at the billing counter of the super-market, he disappears saying he will be back in 5 minutes. I know without asking that he has gone to buy that packet of peanuts and some buttermilk. More often than not, they are very spicy and he does not get beyond eating a small handful as he can’t eat spicy food to save his life! This is a super simple recipe, the shelled peanuts are roasted and de-skinned, then split into halves - the time consuming and laborious part, specially if you need to make this in large quantities. From then its just a matter of heating a little oil, adding spices and the split peanuts. Honestly, I would normally not have even made an effort to make these at home if hubby had not sighed a little too loudly not being able to savor one of his favorite snacks - thanks to the generous usage of red chilli powder. 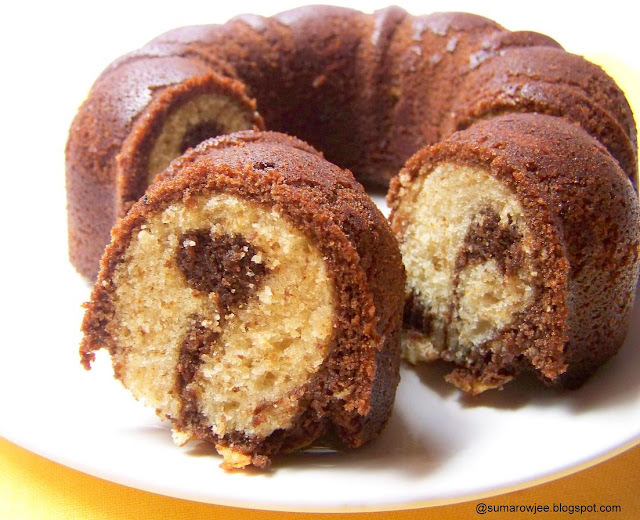 If you are like me and never even gave a thought about making these at home till today you may want to read the recipe. You may fancy a variation in the taste or you could make your own congress kadalekai if its not available where you live! Now, there are a couple of more tasty ways to eat these peanuts. Sandwiched between buttered buns and even in your South Indian Style salad - gaadi chaat style. For the first time when I saw the congress kadalekai bun, my reaction was something which the bakery guy would not have loved to see. Weird, I had thought. Then a bite, then yumm...it does taste good after all! 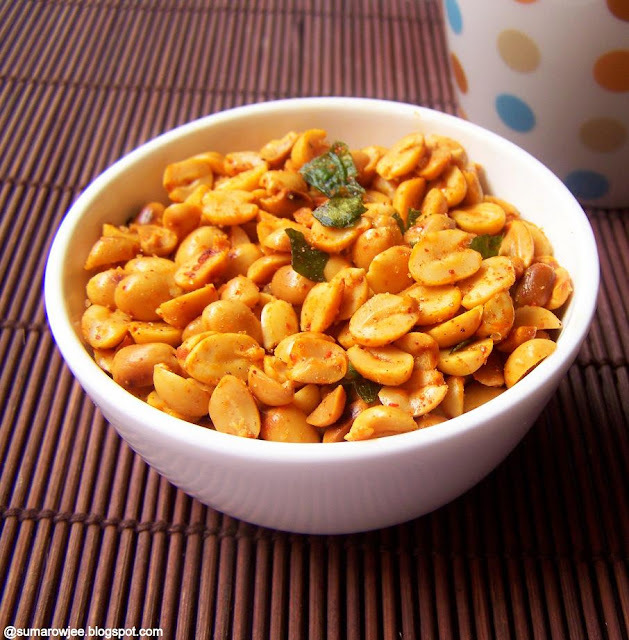 The soft bun, the butter, the spiciness and crunch of the peanuts. If you have never eaten this before, you must try! Dry roast the peanuts in a skillet over low heat. Be careful as you do not want them to brown. Cool. De-skin, then split them into two. Heat the oil in the same skillet. When hot, add the curry leaves and the hing. Turn off the heat. When the oil cools to warm, add the red chilli powder. (If you add it when the oil is hot, the chilli powder will burn resulting in a terrible taste and unappealing color) Add the sugar and salt, tip in the peanuts. Mix well. Allow to cool completely and store in an airtight container. You must pop some in your mouth when you carve something spicy or as you watch television or read a book. Why, you don’t really need a reason, do you? 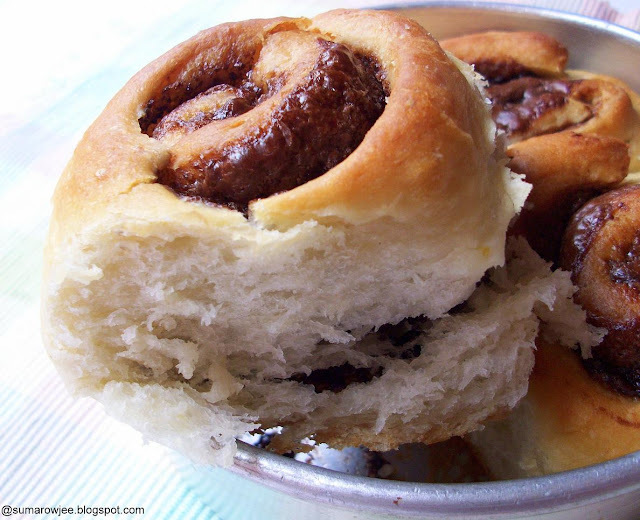 If you have never eaten a Congress Kadalekai bun, you may have just another excuse ! I am guilty of overdoing the chocolate bit here. Dark Chocolate And Orange Biscotti and then Almond Brownies. 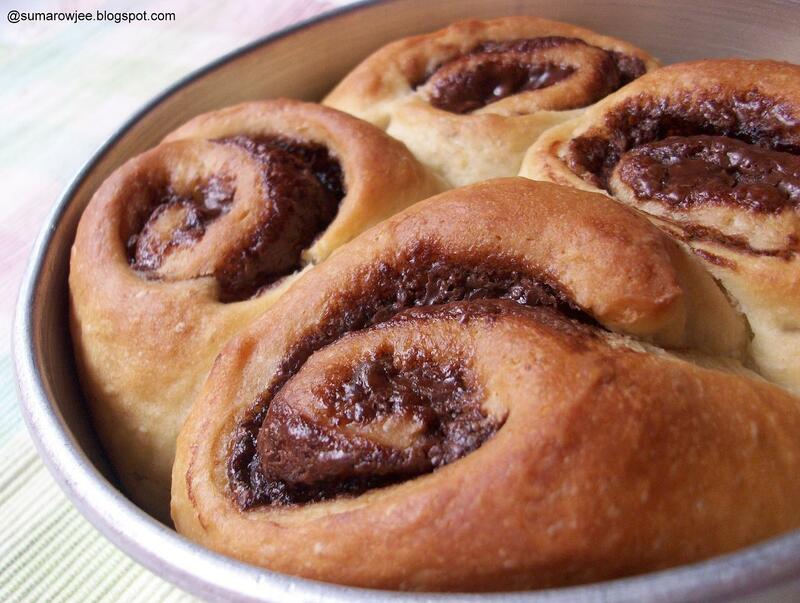 Now Nutella and Orange Rolls. I could have been smart and said I am going to be doing some kind of a chocolate extravaganza on my blog. But I guess its only a little too late. Where is my time-machine when I need it? You see, a chocoholic has little choice when she wakes up one day to realize her jar of chocolate hazelnut spread expires in just a few days. Unthinkable to waste all that chocolate, I can see you nod your head in agreement. A crying shame if a blogger doesn't take this opportunity to 'make' a post ( we all agree on this as well of course). So for starters, I make these easy easy rolls which need hardly any hands on time. The perfect thing as I had just enough time to make the dough the previous day, just enough time to shape the rolls and bake them first thing in the morning. When Ree Drummond has tried 4 variations of the 'evil rolls', I can surely put another variation here. The ever popular Nutella and some grated orange zest in soft, sweet yeasted rolls. Hope this is forgivable. 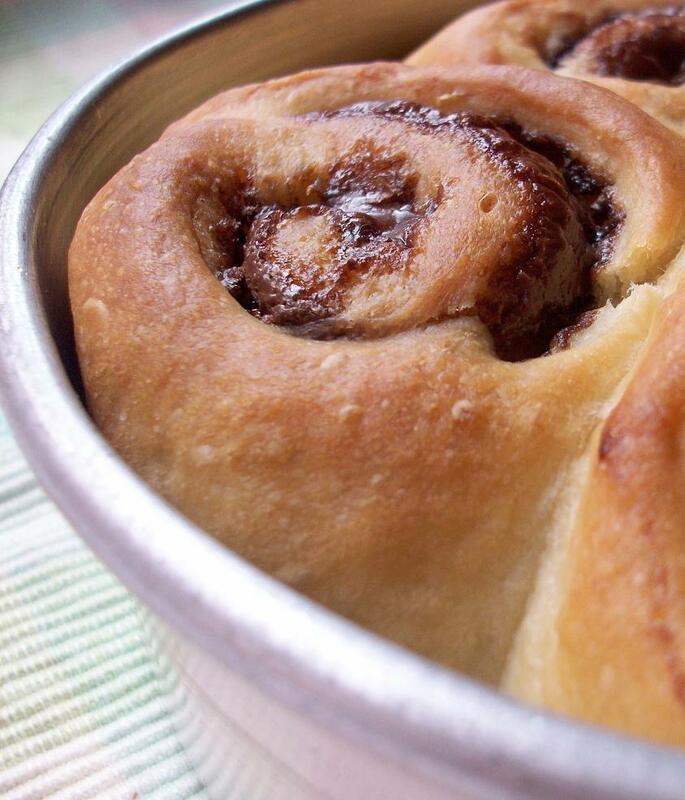 Greatest horror of horrors, I have had no time or opportunity to bake anything new (deliberation delayed this post), but thankfully have had just enough time to copy paste the text from Cinnamon Rolls. Hope this is forgivable as well. If you are new to working with yeast, please make sure you use good yeast and use it right. Here is my video on yeast and proofing it. 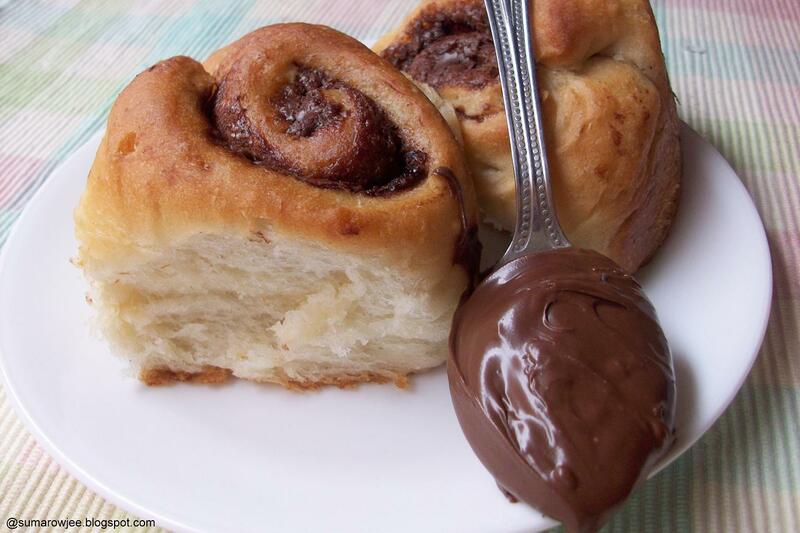 For the filling: When you spread the Nutella, do remember that the dough is sweet too, so not do use too much. Toasted nuts will help temper the sweetness and up the yumm factor as well. When the mixture is lukewarm, add the instant yeast. (if using active dried yeast, leave it for about 5-10 minutes till frothy and then carry on). Whisk in the orange zest, make sure there are no clumps of it. Then add 260 grams of flour to the mixture. Stir to mix with a spatula, you will get a batter that's quite sticky. Cover and let the batter sit for 1 hour or till double. Mine took an hour. It may take lesser time if its warmer. When ready to make the rolls, before you even take the dough out of the fridge, get the below things ready. Line your baking tin with parchment and grease the sides. I used a 9'' square tin and a smaller tin as I baked simultaneously in the microwave and OTG. You could also bake two separate batches, taking out only portion of the dough at a time. Have your silicon brush, soft butter, rolling pin, sharp knife or dough scraper, extra flour ready. Flour your work surface with enough flour. This being a sticky dough, it would otherwise be impossible to roll out. If you take the dough out first and then spend time on this, your dough will lose the firmness and will not be as easy to handle. Spread Nutella evenly and sprinkle the toasted nuts. Start from the opposite end of the dough, roll the dough neatly in a line towards you. Roll as tightly as possible. Pinch the seams to seal.